Steep chamomile tea gently for relaxation, longer for digestive upsets. Chamomile tea is yellow, slightly bitter, with a light apple aroma. Chamomile works on all levels of the body/mind, healing both physical distress and calming emotions. 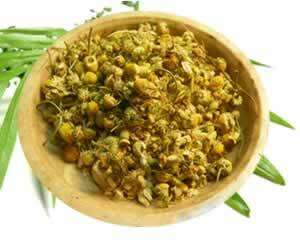 Dried chamomile flowers are used to make herbal baths, sleep pillows and poultices. Steeped chamomile flowers in a muslin bag makes an effective hot poultice to reduce swelling, and ease pain for toothaches and earaches. Relax in a bath of chamomile flowers and sooth your mind while you renew your skin.